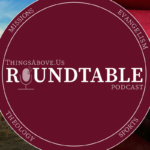 In Episode 10, the guys discuss various advice to new believers and plug a few books we like. And it seems this will forever be known as the episode where Michael admits he enjoys the Polemics Report. 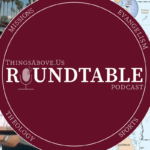 The Things Above Us Roundtable is our podcast where we discuss missions, evangelism, theology, sports or whatever happens to be on our minds. 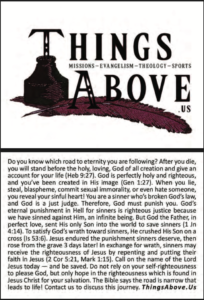 You will find book reviews and sports hot-takes as well. 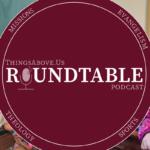 The format is a round table discussion where we apply biblical principles to any and every topic. Join us on your favorite podcatcher.